A bit of reshaping can go a long way. As their family grew in size, the owners of this container home in San Marcos, Texas, decided they needed an upgrade. 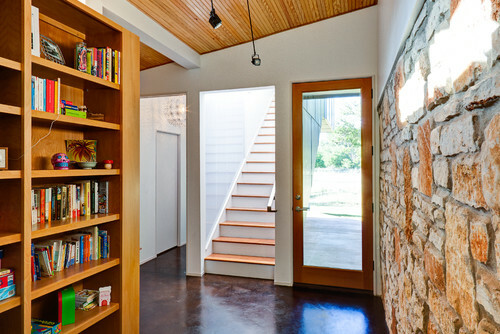 With the help of A.Gruppo Architects, the house was given an additional 950 square feet (88.3 sq. m) and a nice makeover for the existing 400 square feet (37.2 m) worth of space. The project, completed in 2011, is a sleek composition that pays a great deal of attention to its spatial confinements. Intrigued? Then come take a closer look. 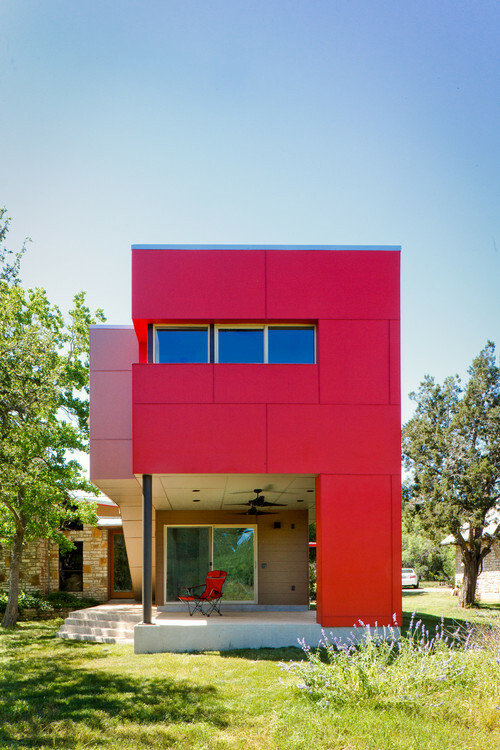 As we begin our tour, rich red tones entice us to explore this home's exteriors. Here, a compelling asymmetrical composition brings about a sense of modernity. 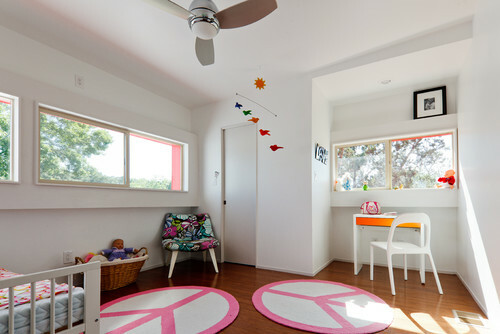 This wholesome bedroom, destined for a cheery tot, is among the house's newest additions. According to A.Gruppo Architects, this room's windows were meticulously placed to create the illusion of a larger space. 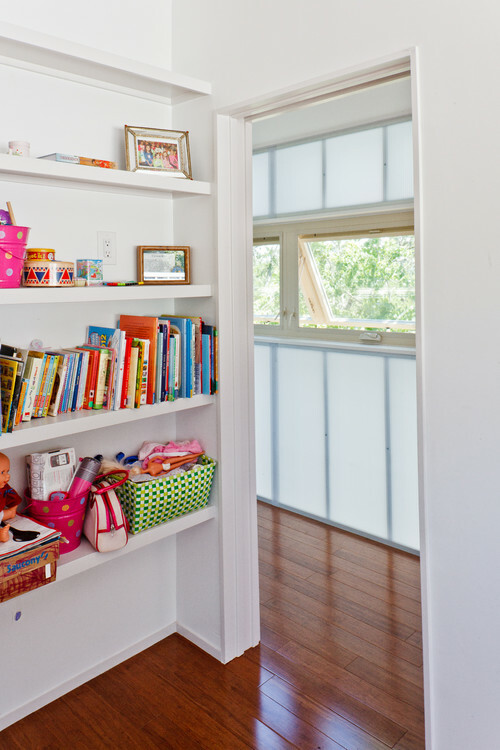 White walls ensure this area is always bright and welcoming, and the shelves endow this area with a special homey touch. 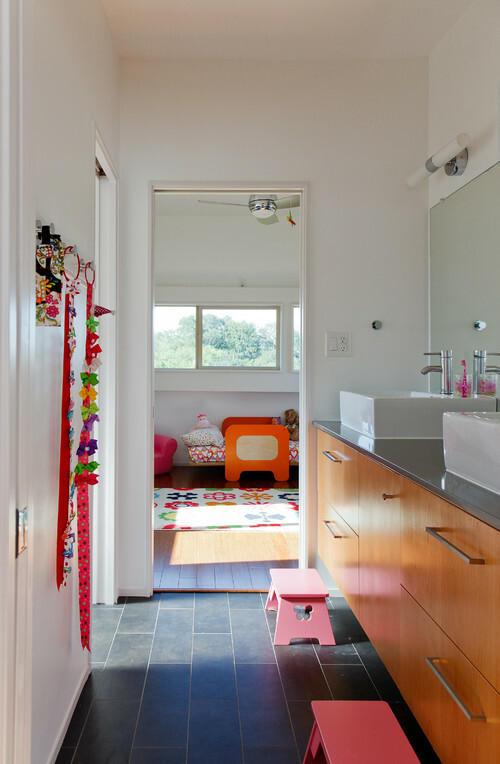 Delicate and practical, a set of pink footstools by the bathroom vanity will help the little ones wash up in the morning. 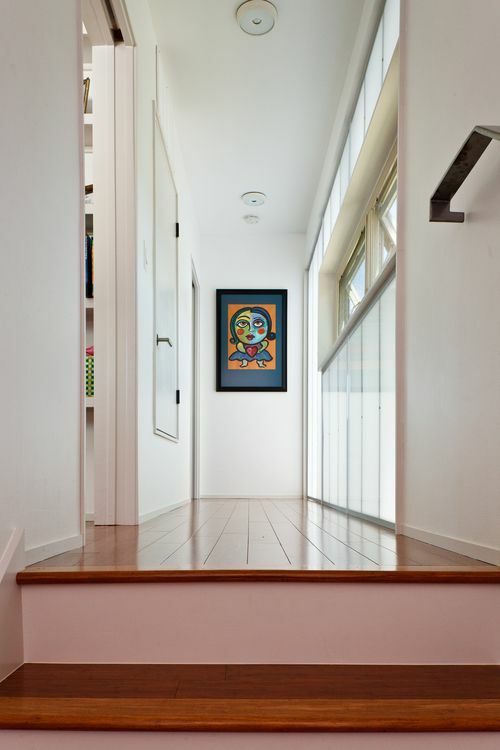 The narrow hallway that leads downstairs comes with a delightful artistic flair, as well as lush wooden floors. Interior lighting is the standout feature in the library. The stairs were constructed to allow the natural light from above to be captured below. 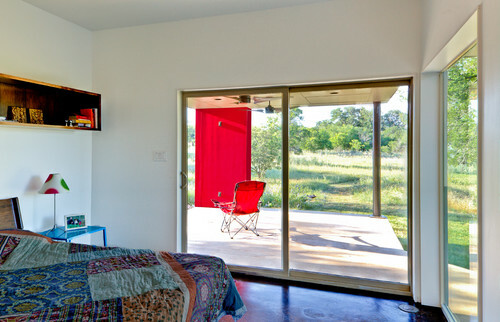 To finish off the project, the master bedroom was shifted to accommodate a new office and mudroom. The new bedroom boasts some of the nicest views of the house and sustains the cheerful themes that are evident all around. As you can see, a cozy container dwelling always has room to expand and flourish. 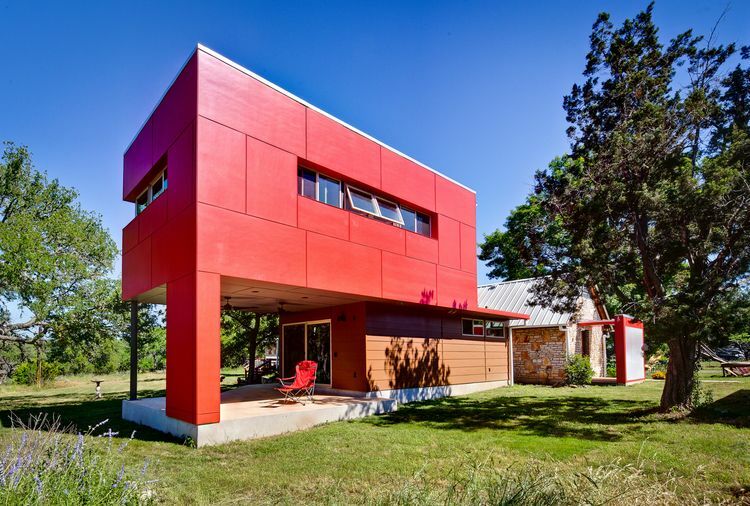 With a crisp asymmetrical touch and a dash of vibrant decor, this contemporary dwelling's design has seamlessly adapted to the changing needs of its growing family.